These days I don't often have a chance to visit Toronto, so I'm very happy to have been invited by Toronto mystery author Jill Edmonston to join her and P.I. Sasha Jackson here today to discuss the subject of characters and characterization. Fans of Sasha Jackson know very well the importance of strong characters who carry us through a novel and, hopefully, an entire series. It could be argued that while we read a novel to find out what happens at the end, it's the central characters who keep us going: if we're not engaged by the characters, we really don't give a damn what happens to them, do we? And if we like the characters, we'll certainly want to come back for more. Thanks to my academic background, when I think about characterization I always begin with the distinction E.M. Forster made in Aspects of the Novel between round characters and flat characters. Round characters come off as three-dimensional: they show some complexity in personality and motivation, and they're capable of surprising us. Flat characters, on the other hand, represent a single idea or quality, often a stereotype, and could be summed up in a single sentence. While authors develop various characters for a variety of purposes, I try to inject at least a bit of roundness into all my characters, even those with minor walk-on parts, to give them a realistic look and feel. 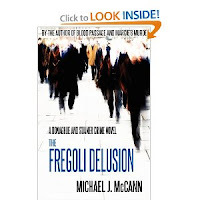 The Donaghue and Stainer Crime Fiction Novel series, which currently includes Blood Passage, Marcie's Murder, and TheFregoli Delusion, falls into the police procedural category, which means there's an expectation of realism to one degree or another in the stories. As a result, I'd like you as the reader to feel as though you're sitting in the back seat of the unmarked Crown Vic, on a ride-along, as Karen Stainer rockets along the expressway, hashing over details of the case with Hank Donaghue, or that you're with them on a doorstep as they interview a witness. I want you to notice Karen's talent for picking up indicators that someone's not telling the truth, and Hank's empathy for confidential informants whose lives have taken a wrong turn somewhere. As you listen to them and watch them work, I'd like to think you're sizing them up just as they're sizing up potential suspects. Why is Karen always so damned angry? Why does Hank, given his background, love being a cop so much? 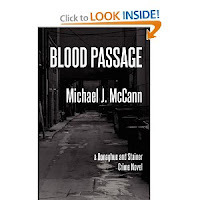 The question then becomes, how do I bring you closer to my characters as the novels progress? Character development goes hand in hand with narrative technique, of course. 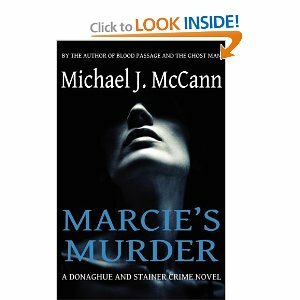 The Donaghue and Stainer crime novels are told in third person, and my narrator has an omniscient point of view, positioned above the action, knowing everything about it and reporting to you, the reader, on a selective basis. The story always begins with Hank Donaghue, and this is a deliberate choice on my part. Think of it as imprinting, the way it works with a baby duck: Hank Donaghue is the central consciousness of the series, the "normative" character who is intended to be closer to what might be considered the norm in terms of perspective, and if he's the first character you encounter when you begin to read, you'll tend to identify with him more readily. Karen Stainer, as a "foil" character whose personality is very different from Hank's and takes a bit of work from some readers to appreciate, walks on stage soon afterward, and the chemistry between them begins. Good technique, as well, means striking a balance between "showing" and "telling." Think about how a law enforcement officer sizes up a person of interest during an investigation. They may begin with surveillance, watching them in action, waiting for them to do something that will indicate guilt or innocence, or they may interview them directly, asking questions, moving the conversation along, listening to the answers and watching the person's behavior at the same time for tell-tale signs. In the same way, as you the reader follow Hank and Karen around, watching them in action and listening to them talk, you pick up indicators of their personality and motivations the narrator has chosen to "show" you, whether it's Hank's attention to his clothing and his meticulous note-taking, or Karen's love of firearms and her abrasive language. Sometimes, though, a detective has to resort to a confidential informant or witness who can simply explain to them what the hell is going on, in short and sweet terms – perhaps a name to go along with a face or an eyewitness who saw something crucial – which becomes a key piece to the puzzle. In the same way, my narrator will occasionally "tell" you something about Hank or Karen, or another character in the story, because it's something important you need to know about the character at that point in the story, and the direct approach is best. The narrator, then, becomes your confidential informant. Finding a balance between showing and telling, bringing characters on and off stage at the right time, limiting the number of characters to something less than a crowd so that readers will not become confused, and revealing enough of their personality and motivation that they will seem realistic and not cardboard cutouts, are all elements that make storytelling a skilled craft as well as an art form. They're the things that bring me down to the keyboard in the morning to get right back to work, and the things that also keep me awake in the middle of the night second-guessing myself!